Car maintenance and regular car service are the most important things you can do for your car. The health of your car depends on regular car service. When you shower your car with tender loving care in the form of regular car service and car maintenance, you reap various benefits, while at the same time enjoying a smooth driving experience. So, why regular car service is important? Regular car service is vital to your safety, only because it can nip any potential car issues in the bud, before they become sure-fire problems. This ensures that your car will not let you down when you need it the most. You don’t want your car to break-down on you in the middle of nowhere, do you? Regular car service and car maintenance reassure you that your car is in optimum road-worthy condition, thus lending you peace of mind regarding safety. Regular car service ensures improved life span of your vehicle. A well-maintained car improves life span, thus ensuring that your car will be your loyal partner for many years to come. Similarly a fine-tuned, serviced engine greatly improves the performance of your car, keeping it in road-worthy, mint condition for a much longer time. Car is made up of a number of different parts. If one part starts to fail, it could affect how the whole car runs. Every part needs to be in tip-top shape to run smoothly like any well-oiled machine. Servicing your car on regular intervals ensures that every part of the car works smoothly, improving the overall performance of the car. Regular car service ensures that the most crucial components of your car- its cooling system, brakes, tyres, suspension, etc. are working with clockwork smoothness. This keeps them in top working condition for years to come. Regular car service ensures that any potential issues in the technical aspects of the car are dealt with speedily and on time, before they become full-blown concerns, which may cost a bomb to repair. As they say, a stitch in time saves nine. A car that goes for regular car service and car maintenance gives huge dividends in fuel efficiency too. Regular changing of oil, coolants, radiator fluid and other vital fluids vastly improve fuel efficiency, thus giving you better mileage and more bang for your fuel buck! If you plan to sell your car at a later date or go in for an upgrade, then a car that has undergone regular car service and car maintenance will definitely attract more prospective buyers. This will get you better selling price, than a car that has rarely been serviced and shows signs of poor maintenance. A poorly maintained car spews more environment-damaging fumes and emissions into the air because of clogged exhausts and unchanged oil and other fluids, as compared to a car that undergoes regular car service and car maintenance. By giving your car regular car service, you thus reduce your carbon footprint and do your bit for the environment. 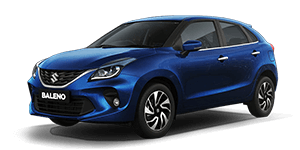 For eg: Maruti has Prescribed Maintenance Schedule for all its cars that’s the reason why we recommend servicing your car on regular basis to keep it healthy by servicing it on regular prescribed interval schedules. Engine oil loses its effectiveness over time. It needs to be replaced regularly to avoid the building up of sludge. Regular car service ensures that oil is changed at regular intervals. This in turn extends engine life. 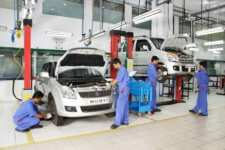 Maruti Suzuki’s service network is wide spread across the country. There are about 2050 Maruti Suzuki service dealers spread across 35 states and Union Territories in India. When a car is sent in for regular car service, its oil, coolants, fluids etc are checked. They are changed if required. Well-oiled car components undergo less friction while running, thus leading to vastly reduced wear and tear. Shivam Autozone has its special exclusive service known as Shivam Express Service. We know Why Regular Car Service is Important and with prior appointment your Maruti can be serviced within 2 hours. A small gesture to fit in your busy schedule. So, give your car much-deserved pampering and you’ll know Why regular car service is important when you reap its comforts for years to come. For premium service experience visit Shivam Autozone Kandivali west or Andheri East Service workshops. That’s not it! Maruti Suzuki’s Mobile Service MMS Van provides service on wheels for customer convenience. There are various advantages of it. One can get door step service with personalized attention, saves fuel to travel to workshop and saves travel time. We’re sure you’re not new to Maruti On Road Service. 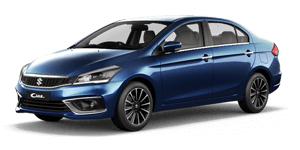 Maruti On Road Service – 24 Hour Service Helpline that provides mechanical breakdown assistance for all your Maruti Suzuki cars. You can reach us on the below given numbers for quick assistance. Shivam Autozone as an authorized Maruti Suzuki Dealer provides exhaustive car service and car maintenance for all Maruti Suzuki vehicles. Our car service and car maintenance is of the highest quality, completely reliable and affordable.